Home builders today are lucky—they have more tools available than ever before to help convince prospective customers that they’re the right choice. Builders who use these tools effectcively are often able to charge higher prices while closing sales more easily than their competitors (Image: Courtesy Dreamstime). Next, you’ll need to ask customers for a review that you can use in your marketing. This will usually require a bit of follow up due to the busy lives everyone lives today, and you may need to coach them on what to say. Ideally, these reviews should be included in your website and marketing materials as well as on third-party websites, such as Google My Business and your Facebook business page. Instead of writing about what happened the year you were founded or industry awards you’ve received (things that home buyers don't care about), emphasize what makes you different. Explain your process and how you make the entire process easier and less stressful than your competitors. 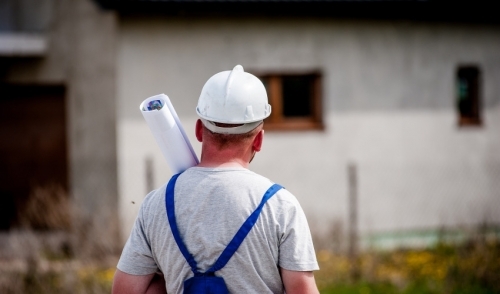 Outline your how your employee training and quality control measures ensure that their home will be built on time, on budget, and to their expectations of quality.